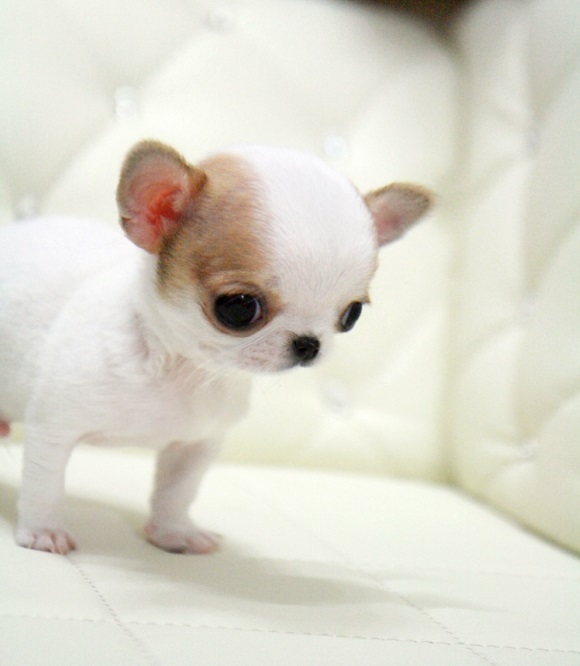 If you’re a fan of very small dogs, with big beautiful eyes, then most probably you’re dreaming about having a Teacup Chihuahua to love and take care of. However, letting yourself get carried away by size is not the smartest thing you can do, especially when we are talking about a dog with a long lifespan and special needs. I’m going to tell you the truth about these tiny tots, so read on to find out about the reality of owning a Teacup Chihuahua. 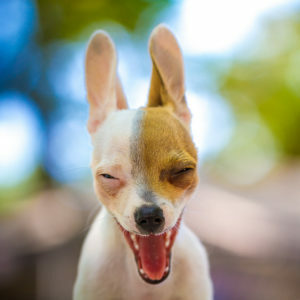 Teacup Chihuahua – myth or reality? 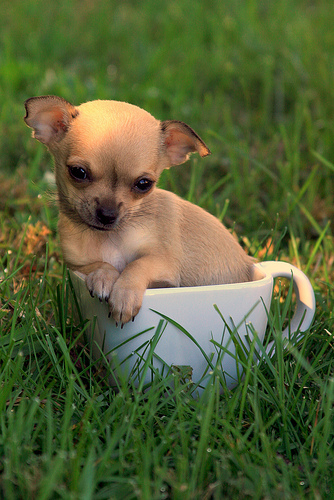 The Teacup Chihuahua (a.k.a micro Chihuahua, mini Chihuahua, and miniature Chihuahua) is, in fact, a mythical dog. She is not a breed, nor a version of the main breed. 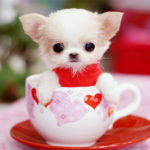 The term ‘Teacup Chihuahua’ is just a description or, more precisely, a marketing trick to attract new customers and it refers to those adult Chihuahuas that have smaller dimensions than the standard ones. Generally, the standards for a Chihuahua’s size are between 4 and 6 pounds (1.8-2.7 kg), but there’s no minimum, so Chihuahuas as small as 2 or 3 pounds (0.9 – 1.3 kg) are accepted by the national and international clubs, too. 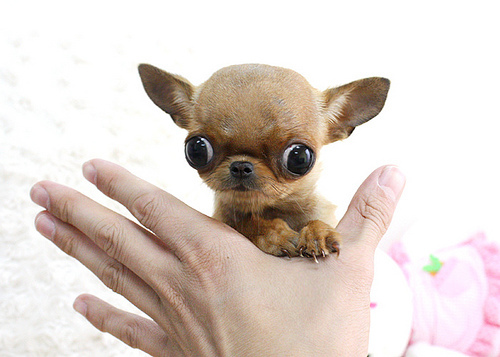 And these miniature Chihuahuas seem to be extremely popular among dog owners. This new trend has determined many unethical breeders to try to obtain smaller puppies through selective breeding, to sell their new dogs for higher prices. 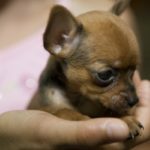 When getting a miniature Chihuahua, make sure you’re not encouraging these practices as they are damaging for the breed in the long term. You should learn how to recognize a reputable breeder and only buy from someone who fits this profile. No breeder can tell you how large your Chihuahua puppy will be as an adult. 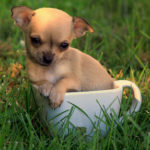 Genetics can be tricky when it comes to a Chihuahua’s size, so the puppy you see advertised as a “Teacup Chihuahua” could grow into a 5 or 6-pound dog. 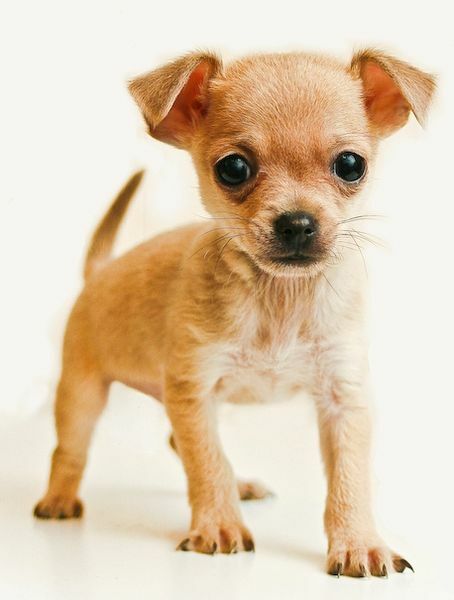 An easier solution to get a miniature Chihuahua is to get an adult instead of a puppy. When she is one year or over, she will be fully grown, and you can be sure about her dimensions. 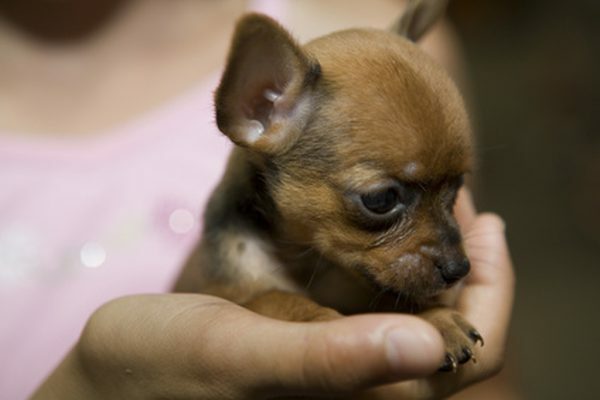 Check with the animal shelters, veterinarians and rescue groups in your area for a Teacup Chihuahua to adopt. However, dealing with an adult Chihuahua is harder than starting with a puppy. Mostly because once they grow up, these dogs are stubborn and harder to train, so you’ll need more time to teach your future dog the house rules. According to data compiled by Barkpost, Chihuahuas are the second most abandoned dog in the US, after the American Pit Bull Terrier. This is often due to people wanting them as an accessory and not realizing that these dogs have needs like any other breed. If you’re thinking of getting a Chihuahua, you’ll have a living creature to take care of for the next 15 – 20 years. 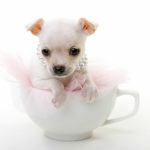 Your Teacup Chihuahua needs high-quality food, specially made for small breeds. Measure the daily food intake in calories, to make sure you provide all the nutrients your dog needs to stay healthy. As a guideline, a young puppy should eat 55 calories/pound each day, while an adult dog needs 40 calories/pound. Teacup Chihuahuas need less exercise than a standard dog. A 10 – 15 minute-walk twice a day is enough. Keep playing sessions short (no more than 15 minutes) and stimulating. Whether they have long or short coats, these dogs shed, especially in spring. To minimize hair loss, brush your miniature Chihuahua carefully 3-4 times a week. All Chihuahuas suffer in cold weather, so Teacup Chihuahuas should be dressed well when going outside, especially during winter. These dogs should stay away from rain, too. Maintain a warm temperature inside your home all year. Add an extra blanket in her crate during night time, if she’s shaking or shivering in the morning. These dogs are small and have fragile bones, which makes them prone to injuries. Young children shouldn’t be allowed to play alone with a Chihuahua, because they’re not careful enough. 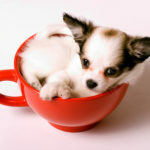 Stepping or sitting on a Teacup Chi that’s hiding under the blanket can easily kill the dog. Another reason to keep Chihuahuas away from small kids is their temperament. These dogs love to be the center of attention and can easily become jealous of young children and attack them. If you have kids in your house, it’s better to start socialization at the earliest possible opportunity, to get your dog used to people. It’s also wise if these dogs don’t live with or spend too much time around animals that can cause them injuries or bone fractures. Chihuahuas tend to show aggression towards other animals and even attack larger breeds, which can end badly for a 3-pound dog. For this reason, it’s best if she is the only dog at home. These dogs seem to prefer others of the same breed, so if you like having more than one dog, getting a second Chihuahua is better for your pet’s comfort and safety. If you already have pets, try to introduce them when she’s still a puppy and always watch your dog when she could get hurt by interacting with other animals. Chihuahuas are usually what people call a “one-person dog” meaning they tend to bond with one owner more than with the rest of the family. They’re loyal, affectionate and playful, but I find them more suitable for single people that for large families. Teacup Chihuahuas have tiny bladders, which means they need to eliminate often. They also tend to have difficulties in controlling themselves, so potty training is a long process, which sometimes doesn’t bring any results. The best approach when dealing with such small dogs is to designate a spot inside the home where your dog can eliminate. Paper training can help you keep your house clean without putting too much stress on your little friend. Many Chihuahuas suffer from submissive urination, caused by their high energy levels and by excitement. Try not to excite too much her or give her praise while she is in this state of mind. For example, when you come home, wait for her to be calm before you greet her. 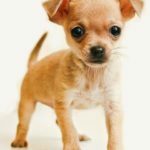 Usually, Chihuahuas are healthy dogs, but smaller Chihuahuas are more at risk of developing some of the breed’s common medical problems. So, consider the risks before choosing to get such a small and fragile dog. Before buying a Chihuahua puppy, specialists recommend you ask for an ophthalmologist evaluation, a cardiac exam, and a patella evaluation. With so many potential owners ready to pay a lot for a small dog, prices are higher for miniature Chihuahuas compared to regular Chihuahuas. And, as stated before, you can’t even know for sure how large your dog is going to grow when you buy a puppy. 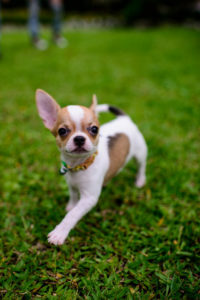 While a Chihuahua costs on average between $300 – 500, a Teacup Chihuahua can be as much as $2,000. And this is just the beginning of a long and expensive journey. The first year will cost you at least $ 2,600, in medical exams, vaccinations, accessories and other small expenses. In the following years, you’ll spend over $2,000 annually. Teacup Chihuahuas need an exercise pen, a safe crate at home, a travelling crate, small toys specially designed for toy dogs, expensive food, clothes and special harnesses to protect them. Having pet medical insurance can help you reduce expenses. Generally, costs depend on your dog’s age, the type of coverage you choose and the area you live in, and they start from $50/month. 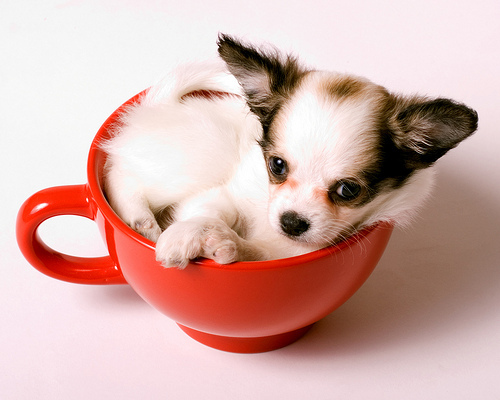 The Teacup Chihuahua is not a separate breed, nor even a breed. She is simply a miniature Chihuahua. She is a dog like any other, who needs a dedicated owner. As we have seen, we’re talking about a dog with specific needs due to her special size. She does better with a single owner in a household without children and without other pets who aren’t Chihuahuas. It’s important to look for a reputable breeder, and to bear in mind that, if buying her as a puppy, it is impossible to know what size she will be as an adult. A Chihuahua, teacup sized or standard, is a long-term commitment and you should consider it seriously before starting this adventure. 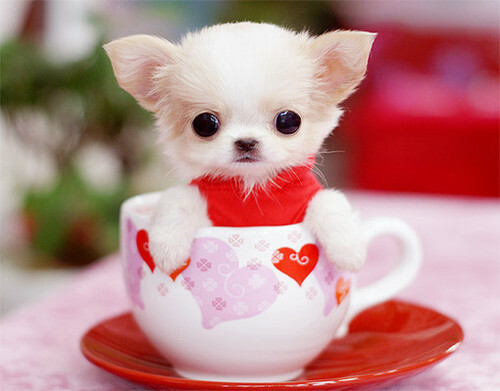 What do you think about these teacup dogs? Do you have one or are you planning to get one in the future? Tell us what you know about these dogs in a comment below. We rescued a four-pound chihuahua ten years ago. The vet said she was between one and two at that time. My husband is retired and with Lexi all day. She becomes my baby when I get home from work. She does not like our two grandchildren at all, what you say in your article is totally accurate. We are lucky that Lexi has been very healthy, so vet bills have been minimal. We live in a cold climate, and keep Lexi in a warm sweater all winter. She sleeps in our bed and we all have our spots so as not to crush her. We hold her most of the time when’s she is not sleeping. We love her to death, but would only recommend this breed of dog for one or two people who can focus their entire life around the dog! I liked your article and found it true. I own 2 small chihuahuas and also have a German Shepherd and it is fine but takes dedication to keep them separated as he u still so large he could easily squash them while playing. They are the best little dogs but are exceedingly fragile. I have a long haired teacup chihuahua. My daughter bought her home against my wishes. She instantly took to me and now my dog. She has been and is a blessing. I’ve always had Lab’s and still have a 100 lb. yellow Lab that’s her big brother. She has helped me through some medical issues by always being there as Daddy’s dog. She sleeps every night with my wife and I. A very productive little dog but also loves people, playing with her bigger brother and walks. I never thought I would ever have a little dog, but she had another plan, the day I came from work, got a beer from the frig, sat down to see what my daughter brought home, that little dog ran over, jumped up on the couch, and laid down on my shoulder and looked at me with those beautiful big eyes and that was it. Zoey has definitely changed my thinking about little dogs. This is a very informative article. Do you have a Spanish version? I thought the article was great. I have a long hair male he is 10 and I just had lost my 17 year old girl to cancer last December. I wouldn’t have any other breed. I’m looking for another pup but it’s been so long since I’ve got one there’s so much to think about. It’s hard to know where to start and who to trust! Good article. 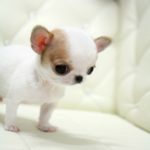 Lots of great info on tiny chihuahuas….but I doubt the people who want a micro size dog will read anything that will try to talk them out of it. 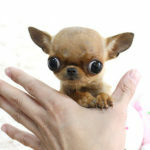 People become almost rabid over their desire for the most tiny version of Chihuahuas, even if it means that it’s not actually good for the dog. I am not sure why either. There really isn’t another pet that people seem to want as a shrunk down version. Maybe mini pigs is the only other popular runt pet that gets people going. It’s getting ridiculous. And expensive. And the article is right on when it states that these little dogs get dumped at shelters when interest in the latest fad wains. Typical human behavior. You want the tiniest dog? Why? You don’t know, you just do. I thought so.